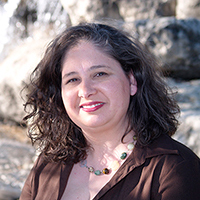 A few days later, I was offered the opportunity to review another book by the same author, Katharine Grubb. I loved The Truth About the Sky just as much if not more than Falling For Your Madness. Below I included links to all three of Grubb’s digital fiction books, which are FREE this week. 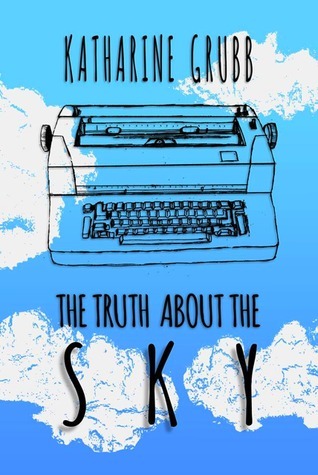 The Truth About the Sky is set in Oklahoma, in the Bible belt. For those that have spent years in churches, you may recognize a few characters in this book. (No need to name names.) Grubb captures so many of the expectations hoisted upon others in the name of “church.” Riddled with flaws and poor choices, Kim is forced to see the distinction between “church” and God. This book is full of characters who feel real, like you could bump into them exiting the pew. You like romance? You’ll like the book for the relationships, but the book truly shines in its story of grace. I’d give this book 6 stars if I could. I’ll never look at the sky the same way again. Grab your copy & read it! Please. As a Pastor’s kid, Kim has been told her whole life that God can see every mistake she makes. Now that she’s a college dropout, unemployed and in a questionable relationship with a party guy, her mistakes are all the more obvious. Her mother makes it clear, Kim better get her act together. Not only is the church watching her, but Kim is also bothered by her theme obsessed mother; a creepy mortician who wants to court her; a sad, but good-looking music minister (whom she may or may not have been kissing) and her childhood friend, Eddie, who, as a lawyer, has an inexplicable interest in lawn care. She has to choose: will she run away from critical eyes to Dallas as quickly as her car can take her? Will she be as critical and condemning as her own family has been to her? Or will she take her brother’s advice and believe, for the first time in her life, that God’s grace is as big as the Oklahoma sky? 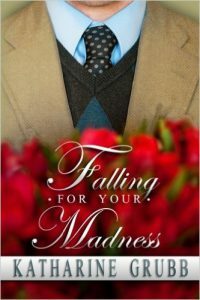 I read Falling For Your Madness and loved it. Eccentric literature professor David approaches Laura for a counter-cultural, rule-filled relationship filled with poetry, flowers and bottom-less cups of tea. He makes it very clear to her that they are just friends. If she wants to be more — if she wants to be sweethearts — then she is the only one that can move them forward. Laura is smitten by his humor, his charm, and his English accent (which turns out to be fake). In his company, she has never felt more beautiful or ladylike. David tells Laura that the reason he has these rules is because he is bound by the laws of chivalry, both body and soul. Then Laura finds out the real reason, one that’s ancient, filled with legend and magic. Yet Laura has complete control of this madman. Should she release him or tell him she wants more? Is he eccentric or just mad? Falling For Your Madness is not just a romantic comedy, but it also asks the question, who has the most power in a relationship? The lady? Or the gentleman? 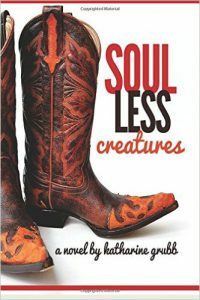 I haven’t read Soulless Creatures yet, but I’m downloading it this week. Working-class future leader Roy Castleberry and pampered over-thinker Jonathan Campbell are 18-year-old freshmen at the University of Oklahoma who think they know everything. Roy thinks Jonathan could succeed in wooing Abby if he stopped obsessing over Walden. Jonathan thinks Roy could learn to be self-actualized if he’d stop flirting with every girl he meets. They make a wager: if Roy can prove that he has some poetic thought, some inner life, A SOUL, then Jonathan will give him the car he got for graduation. Roy takes the bet because he thinks this is the easiest game he’s ever played. Roy spends the rest of the school year proving the existence of his soul, competing against Jonathan for Abby’s attention, dodging RAs who are curious about the fake ID ring in his room and dealing with his past. For Roy and Jonathan, college life in 1986 is richer, (both experientially and financially) than either of them expected. 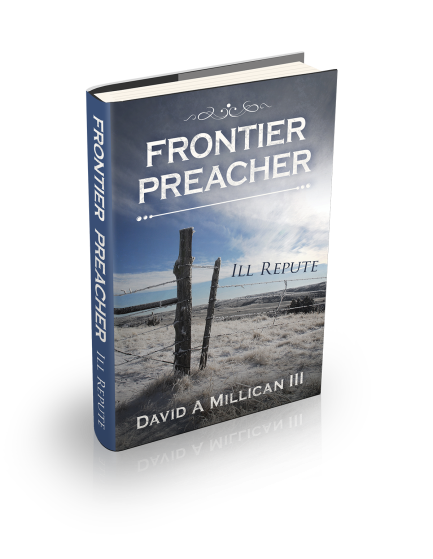 When I was offered the opportunity to review Frontier Preacher, the setting piqued my interest. Last summer my family spent part of our vacation in that part of Wyoming, visiting Devil’s Tower. So, although this book was not one I’d typically pick up off the shelf (I don’t read many westerns), I agreed to review it because the premise interested me. The book, a western historical fiction, told the story of Hollis Winget, who traveled to Gillette, Wyoming, to serve as preacher and fulfill a promise to his uncle. I was slow to become engrossed, but partially because the book’s descriptions of winter in Wyoming were torturous to this Texas girl. Sometimes I found myself shaking my head at Hollis in his early interactions with townsfolk, but as the story unfolded, I was captivated. The main conflict of the story was based on a reality that was and is brutal and hard to stomach. David handled scenes with delicacy, and there were no vivid, gory descriptions, only what was necessary to convey the story. As expected in a book about a preacher, it had strong elements of faith, lived out faith. I learned as I read that it was more than a story about a preacher fulfilling a promise. It was a story of courage, love, and redemption. When I curl up with any book, it is in the hope of being swept into it. If you like a book that makes you cry, mourn, laugh, and fume for people that exist only on the page, you’ll like this book. Tell us about Hollis. Was there a real-life inspiration behind him? Hollis is a composite of three Frontier Preachers and a dash of me. These men, two of which I don’t even know their names only stories related to them, braved situations that you and I couldn’t even imagine. I wanted to tell the story of the Wild West dying and the Civilized East moving in like a storm. But it was the idea of a preacher that made it work. Any other protagonist would have lacked the moral authority in the eyes of the other characters to make it believable. I played around with a railroad worker but it was something about the refined preacher in the savage west that made it work. The crisis of faith endured by many preachers in that situation, including those who inspired Hollis framed the story perfectly so it could be told without being heavy handed or in the reverse too predictable. As for the name, Hollis Winget(pronounced win-jet), that is my grandfather’s first and middle name. This was my first published book and I wanted to honor him. I wanted to honor my other grandfather as well, but the “third” after my name might help you understand why that would be awkward. Again, no spoilers. There were two scenes in particular that I had a hard time getting past. I couldn’t see my screen through the strange liquid that seemed to form in my eyes. Weird. Beyond that, the writing was pretty straightforward. Frontier preacher had been a short story in its previous incarnation and it flowed well into a full-length novel. Everything that happened after the writing was finished, that was the chore for me. Covers, editing, formatting, editing, advertising, editing, beta-readers, editing, publishing, editing, and republishing. If you could have dinner with any character from your book, which would you choose? Eunice Getz (though that is not her real name in real life). She is the grandmother of a woman I knew as a child. The woman (name withheld) had wonderful stories of her grandmother and I would have loved to have met the old hard Wyomin (that’s how to pronounce it correctly) woman and learned about my home from someone who tore her success out of its stubborn dry ground. Written? Yes. See question three as to why they are not published yet. I have a mystery series set in my current town of McKeesport, PA that I hope to have out by the end of the year and a book of studies titled “I Never Thought of it That Way” that should be out…yeah, it should be out. Yes, the darkness lies, live in the light. On one level, as a Christian, this means something very specific to me. But as I tell people over and over again, this is not a “Christian” book. This is first and foremost the story of conflict between two ages. The old and the new cannot coexist together and it so happens that Hollis was the perfect person to tell the story through. And that means my statement that the darkness lies, is true for everyone who reads this book. The darkness comes only to steal your joy, to twist your mind, and to corrupt your innermost being. Live in the light. The light is truth, it is love, it is power, and it is happiness. Some are dragged into the darkness, some walk in willingly. Just know, whoever you are, and whatever you are facing, the light is there for you. For more information about the blog tour, click here.